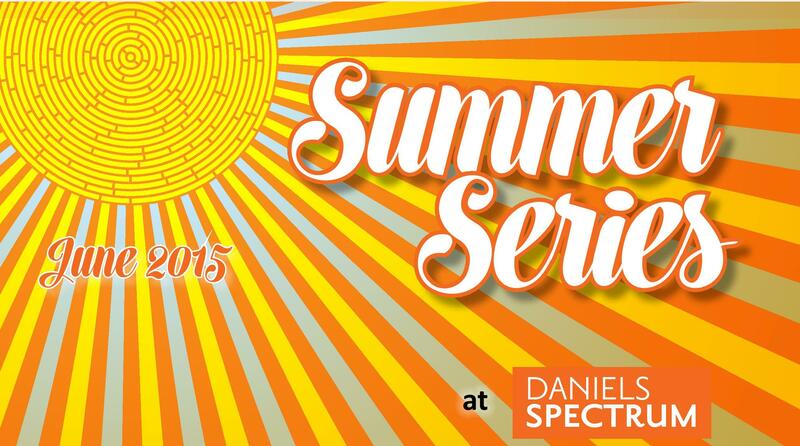 We’re celebrating the 2015 edition of Summer Series with a fantastic new season of free outdoor events in and around Daniels Spectrum in Regent Park. Pick up a one-of-a-kind cultural fashion item at the Regent Park International Bazaar or learn how to create your own at the Sewing Circle, join an epic digital scavenger hunt or check out an outdoor film screening. It’s all happening outside in Regent Park! On Saturday, June 21, Regent Park becomes THE MAGIC CITY – alive with pipes and horns, voices and drums, ice cream trucks and orchestras – all to celebrate the opening of Toronto’s newest City park. Joining the festivities with local residents will be Councillor Pam McConnell (Ward 28 Toronto Centre-Rosedale) and City staff, along with event partners Toronto Community Housing and The Daniels Corporation to celebrate the opening of the new park. Entertainment for the celebration is directed by choreographer Bill Coleman of Coleman Lemieux & Compagnie, musical direction by John Oswald featuring the Toronto Symphony Orchestra with Maestro Bramwell Tovey, the Regent Park School of Music, Toronto Council Fire Native Cultural Centre, and performers ranging in age from 10 to 70 from the Regent Park community and beyond. Community performances are supported by Artscape and Daniels Spectrum. The new park features a playground, splash pad, multi-purpose green space, a plaza for community events, a dog off-leash area, community gardens, a greenhouse, a bake oven, walkways and lush landscaping. Date and Time: Saturday, June 21, 1:30 to 3:30 p.m. Remarks – 1:45 p.m. Location: Regent Park, 620 Dundas St. E.
Join the conversation on Facebook and Twitter with #MagicCityTO to share the excitement!